PBS has a plan for replacing Charlie Rose's late-night interview program, and it starts with Christiane Amanpour. 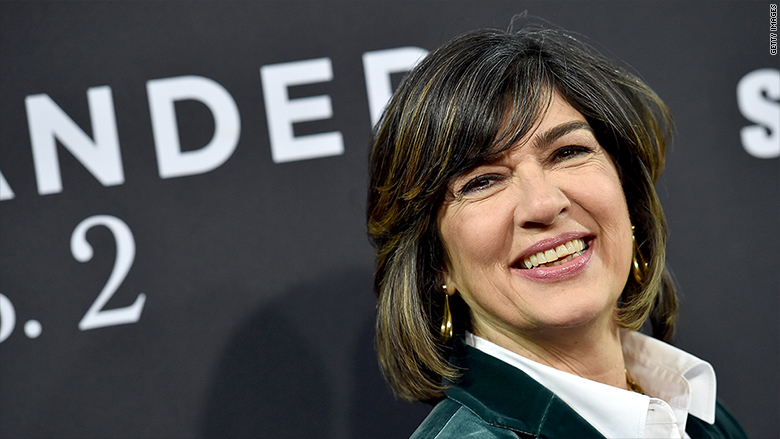 "Amanpour," the acclaimed journalist's existing program on CNN International, will be aired by PBS stations "on an interim basis," the public broadcasting network said Monday. The network said it is also "finalizing plans for a second public affairs program to follow 'Amanpour' on PBS in the 11:30pm half hour time slot, rounding out the hour." PBS declined to say who will host or produce that program. "Charlie Rose" was a staple of the PBS schedule for decades. The hour-long program was owned by Rose's production company and distributed to local PBS stations all across the country. Many stations scheduled it at 11 p.m. The program was taped at Bloomberg TV headquarters and reaired by Bloomberg. Now both PBS and Bloomberg have an opening. The networks severed ties with Rose after the Washington Post and other outlets reported on sexual harassment allegations in Rose's past. Rose has apologized for "inappropriate behavior" while casting doubt on some of the accusations. During the scandal, PBS supplied repeats of shows like "Masterpiece Theater" for stations to air in lieu of "Charlie Rose." But public broadcasting executives are looking for a replacement or two, which led to Amanpour. The veteran international correspondent anchors "Amanpour" on weeknights, most frequently from London. CNN International will continue to produce and air the program. The rebroadcasts on PBS stations will help the program reach a bigger audience in the United States. The main PBS station in New York, WNET, will begin airing "Amanpour" on Monday night. It will be made available to other stations a week from now. "Featuring conversations with global leaders and decision makers on the issues affecting the world today, 'Amanpour on PBS' adds to the long tradition of public affairs programming that has been a hallmark of public media for decades," PBS CEO Paula Kerger said in a statement. Meanwhile, at another network, "CBS This Morning" is also contemplating a successor for Rose. The morning show is having several CBS journalists fill in for him, one week at a time.